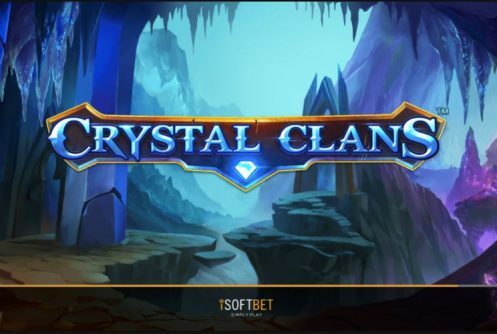 Crystal Clans designed by iSoftBet is a medium to high variance video slot with 50 paylines and 5 reels that pays a top jackpot (non-progressive) of 2,000 coins on a single spin. 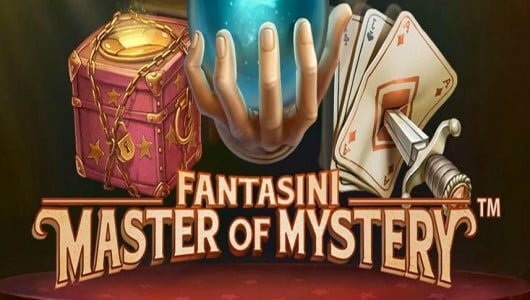 With eye-popping action it comes with a free spins bonus round that awards up to a jaw-dropping 100 free spins with a multiplier that shoots up to 10x. This online casino slots bosses all the pivotal areas for us so far and believe us when we tell you we’ve put it through the ringer! The minimum operating system required to play the game is Android 3.1 while the smallest bet per spin is £0.50 up to a maximum of £500 making it a delight for high staked players. 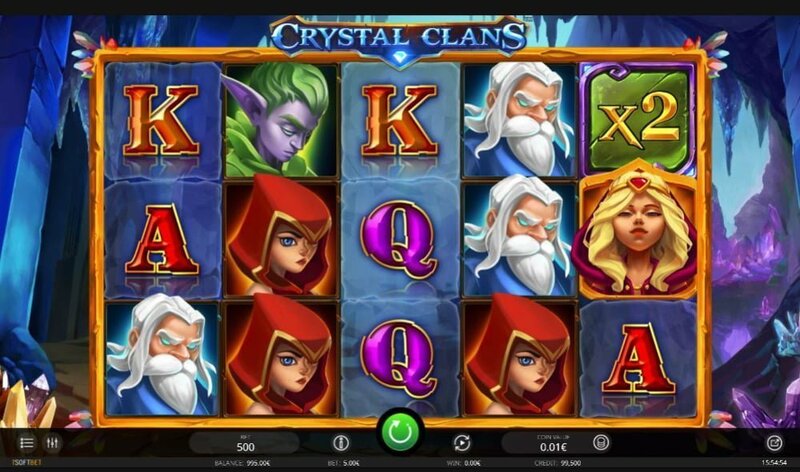 The theme of the slots is set in a fantasy world with elves, a cave filled with crystals (scatter), wild (standard wild), multiplier wilds, the king, queen, a girl that looks a lot like little red riding hood, wizard and cards from 9 to Ace (low value symbols). The symbol that’s the most lucrative is the King, hit 5 of them on the reels at the maximum bet per spin you’ll pocket a neat 20,000 coins (40x your stake). The RTP or average return to player percentage of Crystal Clans is around the 95.5% to 96% mark. As your average bet per spin increases so does the volatility of the slot. With multiple customization options such as Auto Play, audio, graphics, Max Bet and coin betting range game play becomes a breeze. We played Crystal Clans with a bankroll of £500 (our biggest yet) for two reasons: First, the volatility is quite high meaning that payouts both during the main game and bonus mode (free spins) can be very good – suffice to say the game didn’t disappoint. The game sports two wilds, the standard wild (W) and the multiplier wilds. When the multiplier wilds pitch they boost winning combinations by a multiplier that ranges from 2x, 3x, 5x up to 10x. When the wild multiplier appears during the free spins it shines throughout the feature. Let’s say you hit 2 scatters, the multiplier wild attached to them will be 5x which gives you 15 free spins, as in our case (see screenshot). The free spins feature can be re-triggered when another 2 or more scatters pitch, you can win a total of 100 free spins with a multiplier of up to 10x attached to each free spin! The total amount of cash that can be won on a single free spin is 4,000x your stake! 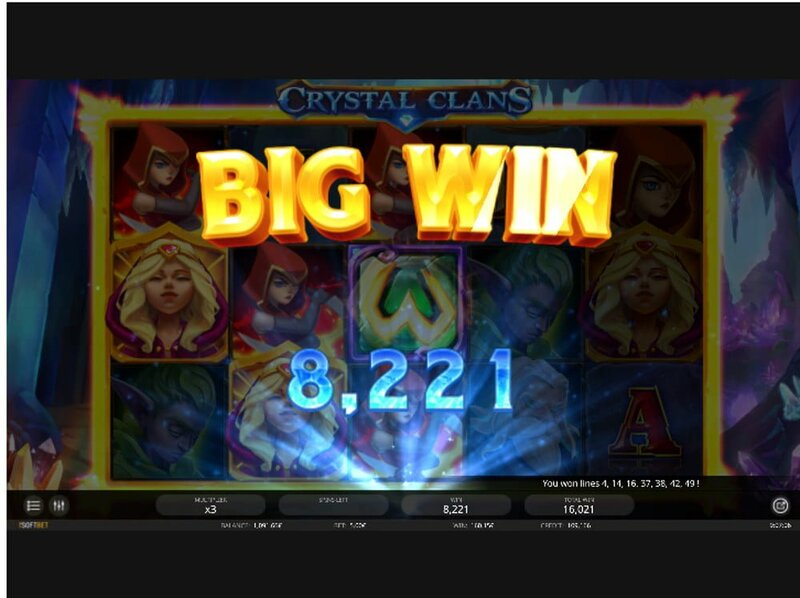 Taking into account the volatility of Crystal Clans we were pleasantly surprised to trigger the free spins for the first time in under 50 spins. That said, it becomes increasingly difficult to trigger it for the second time (can take up to 120 spins or more). Our advice to you is if you triggered it play out the free spins and cash out your wins. 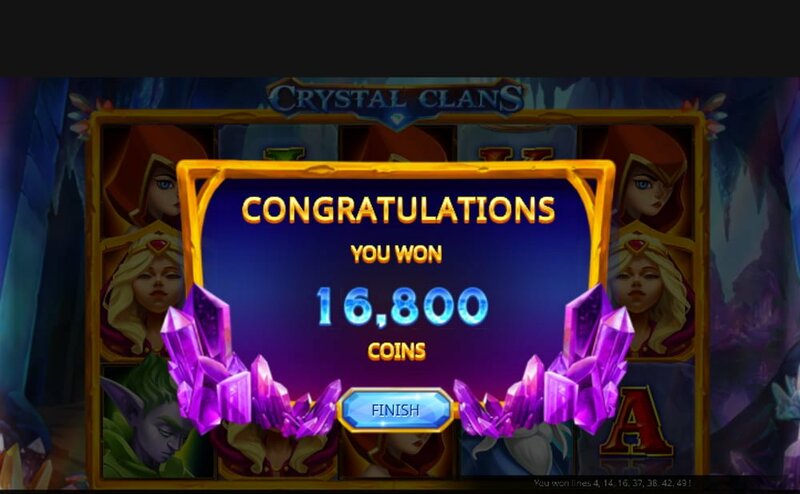 Crystal Clans brings a lot of excitement to all our iSoftBet casinos it’s a cracking fantasy slots with a lot of energy! Base game wins can be as high as 30x your stake especially when 5 of-a-kind symbols pitch. 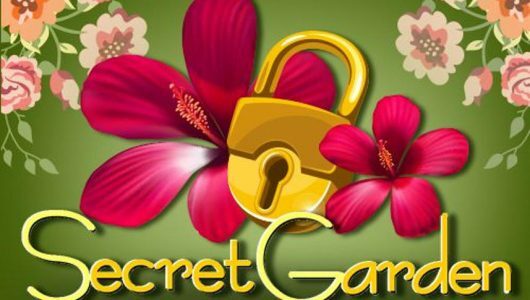 The beating heart of the game is its free spins bonus, it’s laced with multiplier wilds (up to a cool 10x) plus it’s a re-triggerable feature where you can win as much as 100 free spins! First time round it’s quite easy to trigger but from there on end it’s an uphill climb. Overall it’s one of the best slots we’ve reviewed and played in 2018 and it doesn’t take too many spins before you get a decent payout. Is the volatility of the slots high? Yes, it is medium to high variance. The higher the ‘risk’ factor (volatility) of a game the better the rewards but discretion is advised. We experienced a couple of payouts of 10x to 15x our stake during the main game thanks to those multiplier wilds of 3x. Some players had wins of 30x. How many spins does it take to get into the free spins? 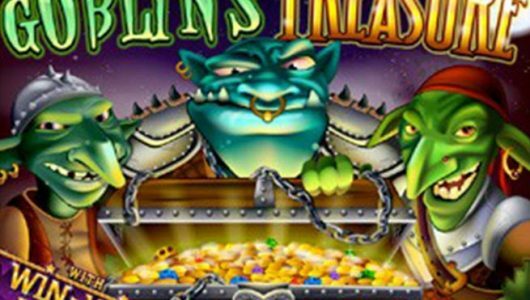 It took us exactly 50 spins to initiate the free spins with 2x scatters, we received 15 free spins for our trouble. 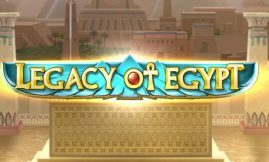 Due to the volatility of Crystal Clans it can take 120 or more spins to trigger it for the second time. Then again it may differ from player to player.